Education is an area that has vast potential to use innovations and it continues to benefit from advancements in artificial intelligence.Educational technologies are at the forefront of harnessing advancements in AI, neuroscience and computer science. 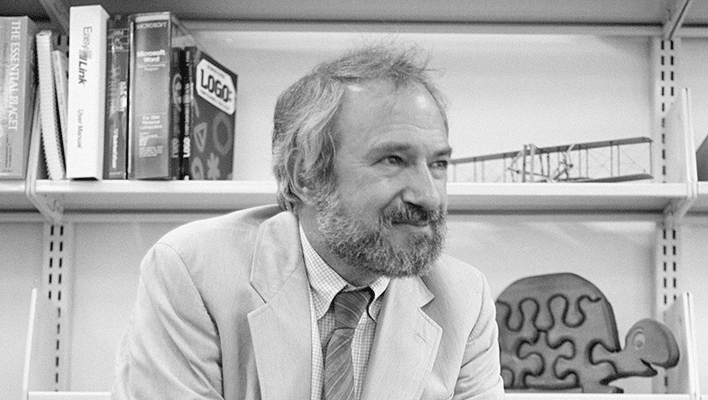 Seymour Papert (1928-2016), a South Africa-born American mathematician, AI scientist and educator is the undisputed heavyweight scholar who spent most of his career teaching and researching at MIT. He was a major contributor to the field of educational technologies and application of AI in education. He was one of the pioneers of AI, and of the constructionist movement in education. These technologies are used to enhance the learning process and to improve processes such as grading and improving access to important educational resources. Papert’s life and work are amazing because he was at the centre of not one, but three technological revolutions — child development, artificial intelligence and computational technologies in education. Papert is revered for his contribution in all of these three fields. Papert went to the University of the Witwatersrand, where he received a Bachelor of Arts degree majoring Philosophy in 1949. This was followed by a PhD in Mathematics in 1952. He remained interested in mathematics for the rest of his life but his main contributions were destined to happen in other fields. Interestingly, he decided to pursue another doctorate and received a second doctorate also in mathematics from Cambridge in 1959. Papert had various stints as a researcher at many places. Among those research institutes were St John’s College, Cambridge University, the Henri Poincaré Institute at the University of Paris, the University of Geneva, and the National Physical Laboratory. After these experiences he became a research associate at MIT in 1963. He eventually became a professor of applied math and was appointed co-director of the MIT Artificial Intelligence Laboratory by its founding director Professor Marvin Minsky, until 1981. He also held the professorship in the department of education at MIT for a long time. As mentioned above, in the 1960s, Papert and Marvin Minsky co-founded the Artificial Intelligence Lab at MIT. This was an achievement which had an enormous effect on AI research and development. He also laid the foundation for some of the earliest work in AI. Minsky and Papert went on to write the book Perceptrons, considered a seminal work on artificial neural networks — and their limitations. He played an important part in the work of Uri Wilensky in the design of NetLogo and collaborated with him on the study of knowledge restructurations. In 1981, Papert along with several people in the Logo group at MIT, started Logo Computer Systems Inc. (LCSI), of which he was Board Chair for over 20 years. This led to the now very popular Lego/Logo (marketed as Lego Mindstorms). He also influenced the research of Idit Harel Caperton, co-authoring articles and the book Constructionism, and chairing the advisory board of the company MaMaMedia. He was a huge influence on Alan Kay and the Dynabook concept, and partnered with Kay on many future projects. Papert’s work with his research students taught him that children learned more efficiently if they could see a physical result for their computing and calculating efforts. The first turtle was a physical robot (and later a virtual one) that could be programmed by Logo commands and draw geometrical shapes. Papert’s work entered pop culture and the mainstream scene in 1980, with the publication of the very important book Mindstorms: Children, Computers and Powerful Ideas. MIT, because of Papert managed to attract many bright students and researchers, who would bring to legions of children ideas to life. The Lego company transformed many of these ideas into products under the title “Mindstorms,” in honour of Papert.